India is set to become the consumer giant’s largest market by sales. 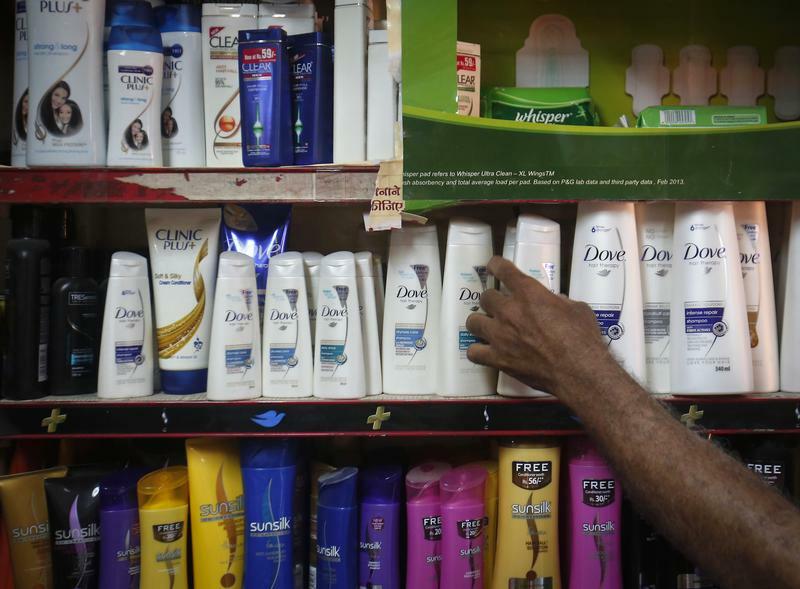 Hindustan Unilever dominates sales of soap and is well positioned to fight off rivals. A multiple of almost 50 times forward earnings – more than twice its parent’s valuation – reflects that promise. Hindustan Unilever reported a 28 percent rise in quarterly profit on Jan. 17, beating consensus estimates. Net profit at the Indian diversified consumer goods maker rose to 13.3 billion rupees ($208 million) in the quarter ended Dec. 31, compared with 10.4 billion rupees a year earlier. Analysts polled by Thomson Reuters had estimated a net profit of 11.6 billion rupees on average. On Jan. 17, rival Patanjali Ayurved announced partnerships to sell its products online through eight e-commerce companies including Amazon and Flipkart. The company, co-founded by Baba Ramdev, also said it is not planning an initial public offering. HUL shares have risen 64 percent in the past year, twice as fast as rivals Colgate Palmolive-India, Dabur India, and Marico. They closed at 1,371 rupees, down 0.8 percent, on Jan. 17.